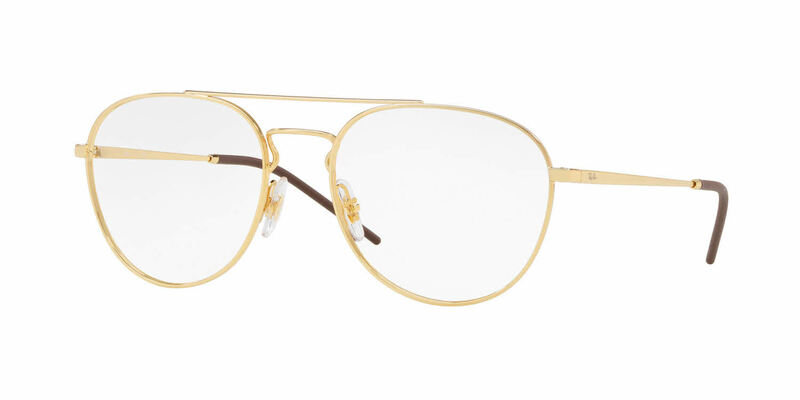 Ray-Ban RX6414 is a Full Rim frame for Men and Women, which is made of Metal. Ray-Ban RX6414 Eyeglasses come with a cleaning cloth and protective carrying case. I have never worn metal frames so the decision to purchase them wasn't easy at first. After going into a department store and trying on a similar shape, I was sure! Once they arrived and I tried them on, I instantly fell in love! It's like wearing jewelry without wearing jewelry. It has a beautiful gold finish, great detailing, and it accentuates my features nicely.